باستخدام APKPure App لترقية DanMachi - MEMORIA FREESE, بسرعة وحرة وحفظ البيانات الخاصة بك على الإنترنت. Join millions of fans of the fantastically popular anime –“Is It Wrong to Try to Pick Up Girls in a Dungeon?”–in its first-ever fully-localized mobile RPG, Memoria Freese! Memoria Freese transports you to the world of Orario where you can build your own powerful team to battle through a sprawling dungeon! Play in a dynamic timeline that changes everything from environments to character dialogue depending on the time of day you play! ●Level up your favorite characters and unlock new skills! ●An unparalleled mobile game adaption! ●Exclusive stories written by series creator Fujino Ōmori! ●Brand new costumes and character designs! ●Original voice actors from the anime! ●Dress up your favorite characters in unlockable special costumes! ●Create your own tactical team with your favorite characters! ●Test your might with Normal, Hard, and Very Hard difficulty ratings! ●Gauge your strength progression in monthly challenges! Join millions of players worldwide in this global mobile RPG sensation! Unfamiliar with the Is It Wrong to Try to Pick Up Girls in a Dungeon? (Danmachi) story, or just curious about the hype? Watch the anime on Crunchyroll today! ※Please note that we will not be responsible for any issues occurring on devices that do not meet the recommended requirements. ・New Units and a new Event have been added. ・New Quests have been added to Bell Episode. 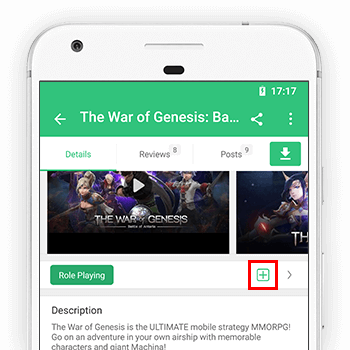 ・Links to game-related videos have been added. ・An Icon, Settings, Title Screen, and the Main Theme have been changed. ・Other minor issues and display issues have been adjusted. We will continue to add and improve functions and resolve any issues. Thank you for your continued support of ""DanMachi MEMORIA FREESE"".